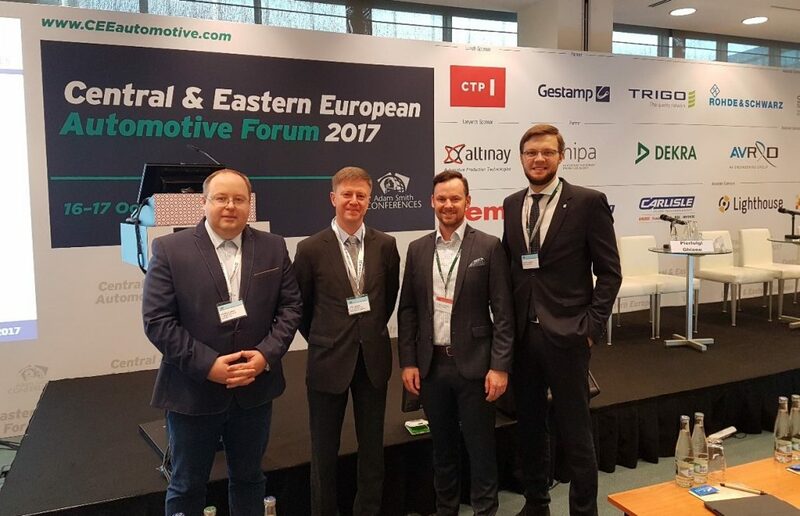 BACC together with government agency Invest Lithuania and with over 250 delegates attended one of the largest automotive event in the 12-country CEE region. OEMs, T1 and T2 suppliers, as well as solutions providers al gather in Prague each year for 2 days of news and networking. This year Invest Lithuania at a forum session “EUROPEAN TRENDS & CEE REGION – forecasts, policies and investments” presented opportunities doing business in Lithuania and encouraged expand operations in our country. Trend is expected that both suppliers and manufacturers already operating in CEE are more likely to consider a new location either nearby their current CEE location, or to one of the other countries in the region.